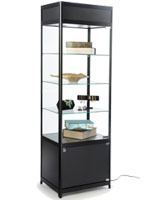 This LED retail display tower is the perfect store fixture for showcasing higher end items to the public. 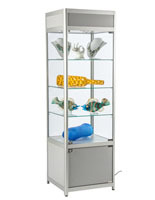 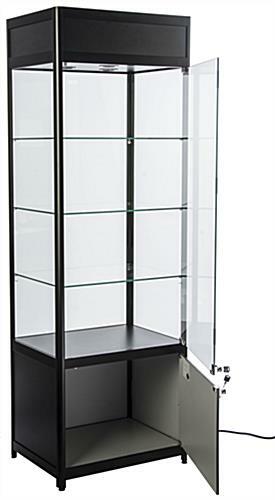 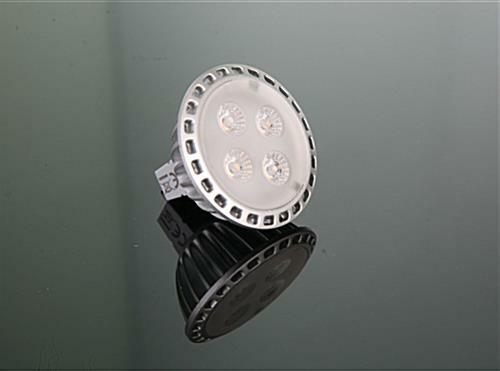 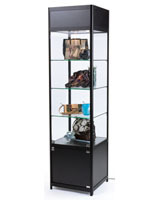 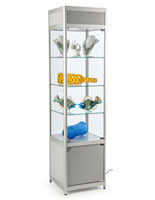 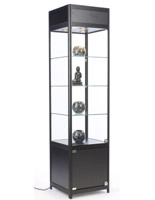 The glass case is shipped unassembled to reduce shipping costs but assembles easily. 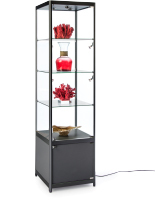 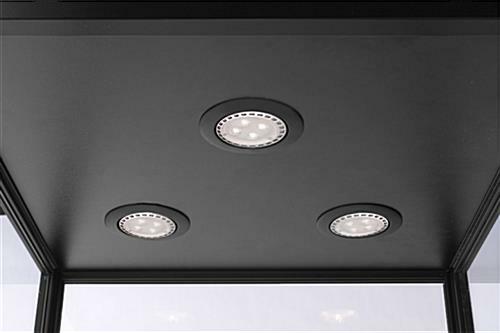 When in use, the black display tower has high-efficient bulbs that can be turned on with the touch of a power switch for a beautiful presentation. 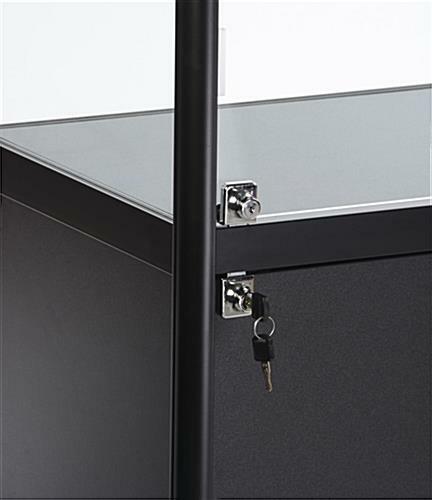 These store fixtures also offer a concealed storage base which includes a key and lock to hide or stock additional merchandise. 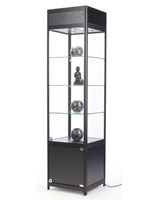 Adjust the shelves in each display tower to accommodate larger scale items. 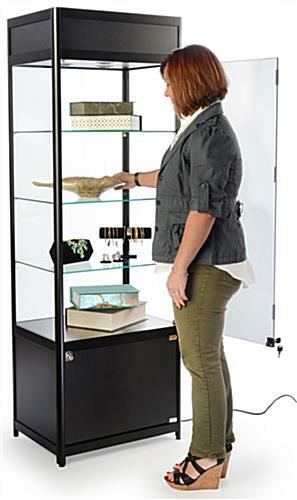 Place the glass case in an ideal spot on the floor so customers can see the quality of items being sold without the fear of shoplifting.